A PROJECT THAT COMPLEMENTED ALL OF OUR KEY SKILLS AND EXPERIENCE IN ONE GO. This project was no walk in the park. We had the task of completely re-branding the new store in Brisbane close to the Gabba. 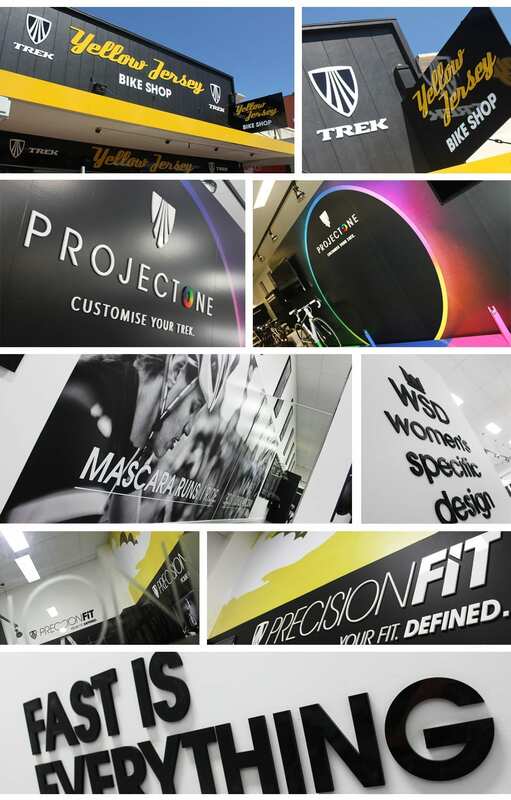 From all exterior signage including the main fascia sign and window graphics to all the internal signage, acrylic lettering, workshop frosting and we even printed and applied a 20m wide wall print. 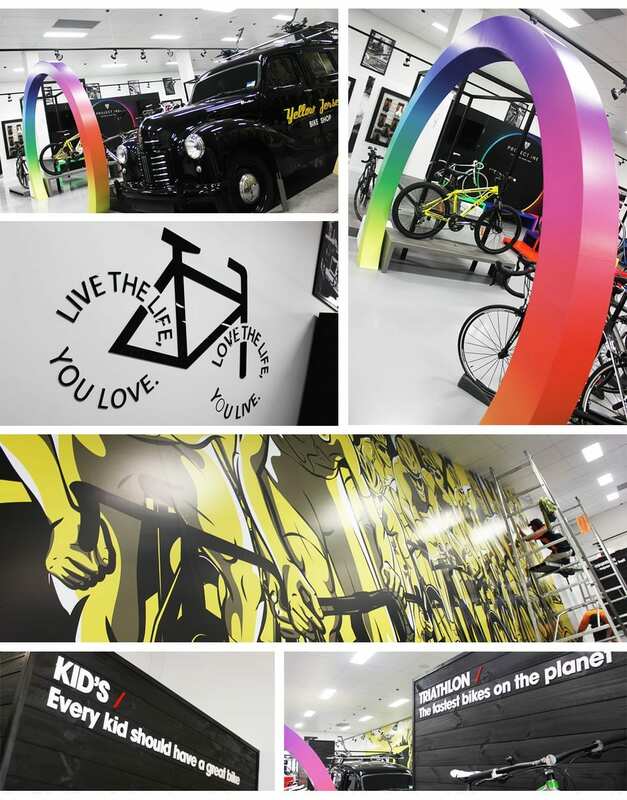 YELLOW JERSEY BIKE SHOP – WILL LOOK AFTER YOUR RIDE NO MATTER WHAT STYLE. 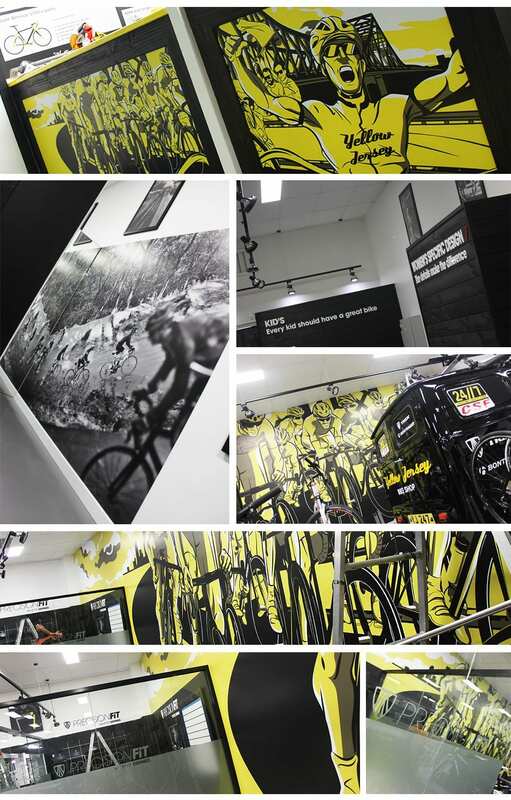 We are more than just a bike shop. We are a community based hub for everything cycling. Passionate about bikes, Troy and his staff are committed to providing unrivaled product range, honest old fashioned service and advice.